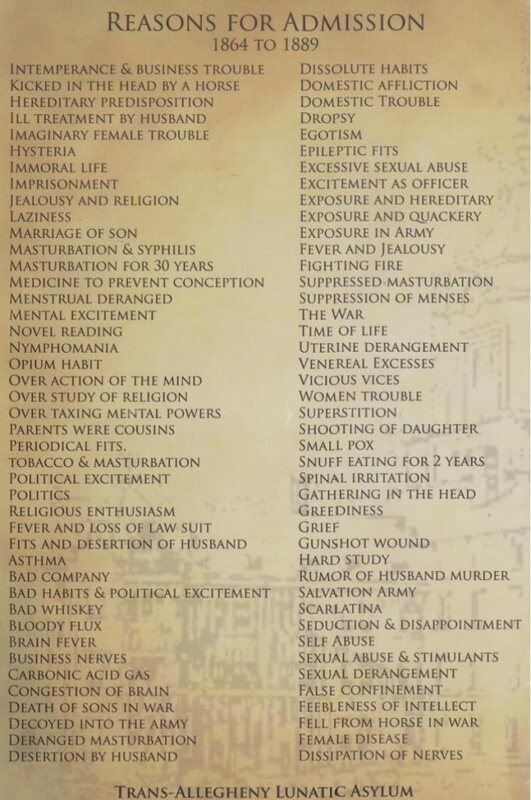 View this list of things that could’ve gotten you admitted to a 19th century’ Mental Assylum. The influence of patriarchal and puritanical culture is obvious here, but what else might be the reason for some of those all-encompassing traits to be listed? If you exhibit any of these mental health “indicators”, be thankful that you live at the time when views on mental health are actually humane.